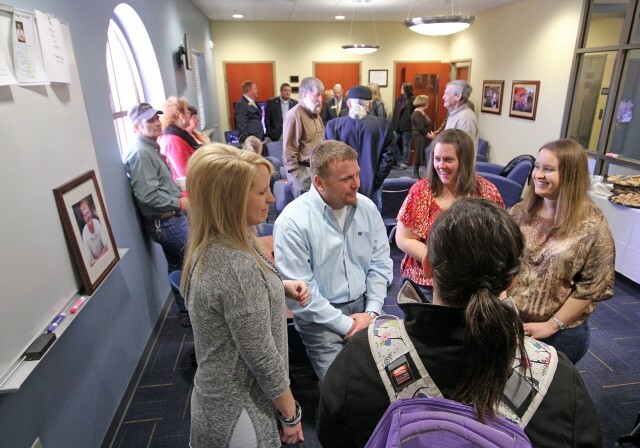 Kory Jacob Dedmon was remembered at Southern Arkansas University Thursday, February 13, 2014, in a ceremony to name the student lounge at SAU’s Agriculture Center in his honor. 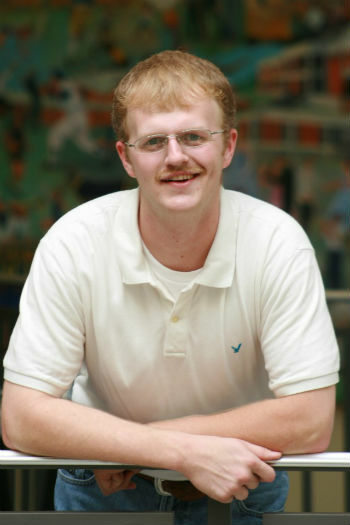 Dedmon’s life was cut short in an automobile accident on December 26, 2007 just a semester before he was scheduled to graduate with a degree in Agriculture Education. 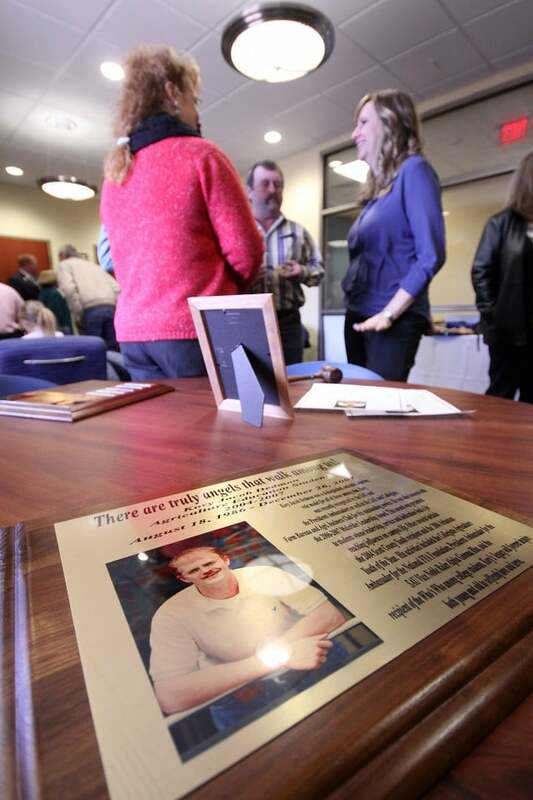 His former classmates and friends at SAU had the idea to raise money to keep his memory alive in SAU’s new Agriculture Center. Morris said that now the group has met their goal of naming of the lounge, they are going to focus their efforts on a scholarship endowment in honor of their fallen friend. To continue the fundraising efforts, Morris announced plans for the 2nd Annual Swingin’ for Kory two-person scramble golf tournament. It is scheduled for May 31, 2014, at Waldron Country Club with an 8 a.m. shotgun start. Entry is $50 per team or $25 per individual, and sponsorship opportunities are also available. Contact Morris for more information at (870) 914-1967. At SAU, Dedmon was known to give the best campus tours, or “turrs” as he called them, as a part of his duties as a President’s Ambassador. Shelly Whaley, assistant dean of advising and transfer recruitment, shared stories of Dedmon’s meaningful time on campus. “When Kory walked into a room, he shined. 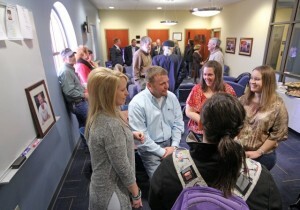 When current and future students step into this room, I hope they will feel his spirit and know what it was like to be Kory Dedmon,” said Whaley. 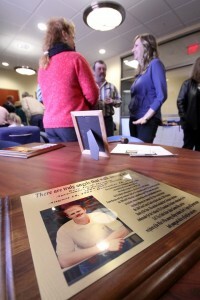 A large photo of Dedmon is being placed in the student lounge, along with a plaque and several candid photos of him that show his positive attitude and bright smile. Dedmon was a 2004 graduate of Waldron High School where he was active in FFA and 4-H. It was there that his passion for agricultural issues and education developed. During his tenure at SAU, Dedmon spent a great deal of his time helping to educate students about the importance of agriculture. He was the recipient of the 2006-07 Mulerider Leadership Award. In addition to being an SAU President’s Ambassador, he was a Collegiate Agriculture Ambassador for the National FFA Foundation and a member of Alpha Gamma Rho. He was recognized in Who’s Who among College Students as well as State and Regional Boys Club Representative. 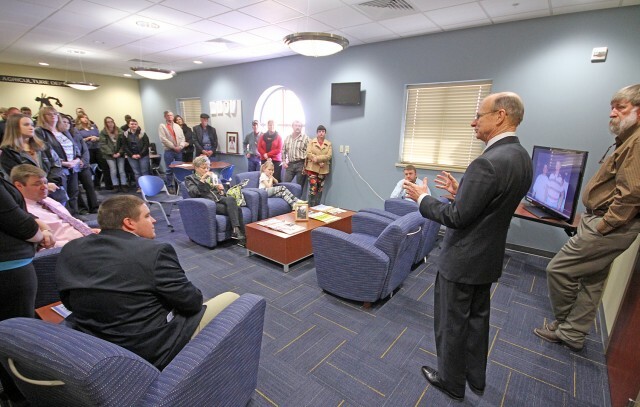 Funds raised for the Agriculture Center, including those raised in Dedmon’s honor, are being used to purchase of state-of-the-art equipment for the laboratories and classrooms in SAU’s Agriculture Center. This investment will continue Dedmon’s heartfelt passion of promoting and improving agriculture education for years to come. For more information on contributing to the Kory Jacob Dedmon Scholarship Endowment, contact the SAU Foundation at P.O. Box 9174, Magnolia, AR 71754 or visit the SAU Foundation website.